We are extremely happy today to have received shipments from both of our main banjo brands: Deering banjos and Gold Tone. We have just received some of Deering´s top seller banjos that some customers have been demanding and that took us long to bring. Also, we have received the new Gold Tone EB5 electric banjo which is an outstanding new option to add to any banjo player´s arsenal. 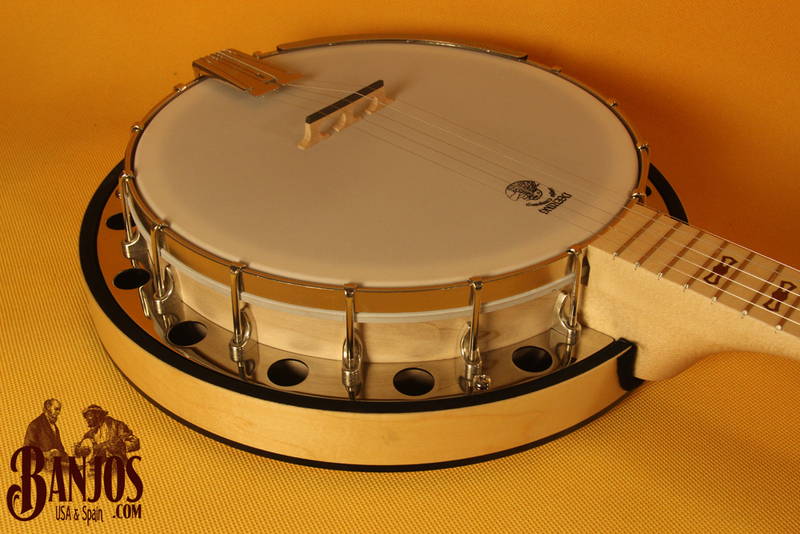 Deering Goodtime: Probably the top seller amongst all Deering Banjo Company instruments. Basic beginner banjo. Compared to similarly priced Asian made instruments it may look at a first glance as more basic and lacking freatboard. 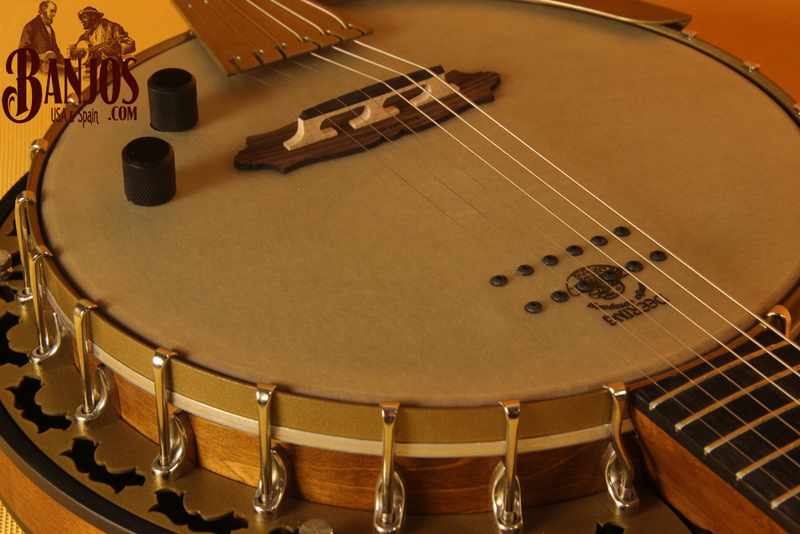 However, its unique sound and the quality of the materials used makes it a top choice for a beginner or even a pro wanting a light weight, but strong, full size travel banjo. Deering Goodtime Two: Exactly the same as the Goodtime banjo, but with an added resonator to increase projection. It may not be useful if thinking of a travel banjo (then you may want the lighter Goodtime openback version), but it is perfect for a beginner wanting a USA made banjo to start with. Deering Eagle II: This is Deering´s newest banjo. Now we are talking about professional banjos that you will keep and give to your son. Not specially heavy considering it is a professional banjo. Tone is warm and full. This may be a first step also when wanting to move up to truly professional grade banjos. Deering Sierra: Now, there´s not much new we can tell about the Sierra that you don´t already know. Sierra has been no doubt the flagship of all Deering´s professional series of banjos for years. Really a dream to play this banjo. Sierra has everything you could expect of a top grade banjo but for a more reduced price than other fancier ones. Deering Phoenix: We are really excited to have a Deering Phoenix finally here. Phoenix is the best 6 string banjo we have ever played. Perfect for the professional on stage guitar player wanting to add a banjo sound on his repertoire. 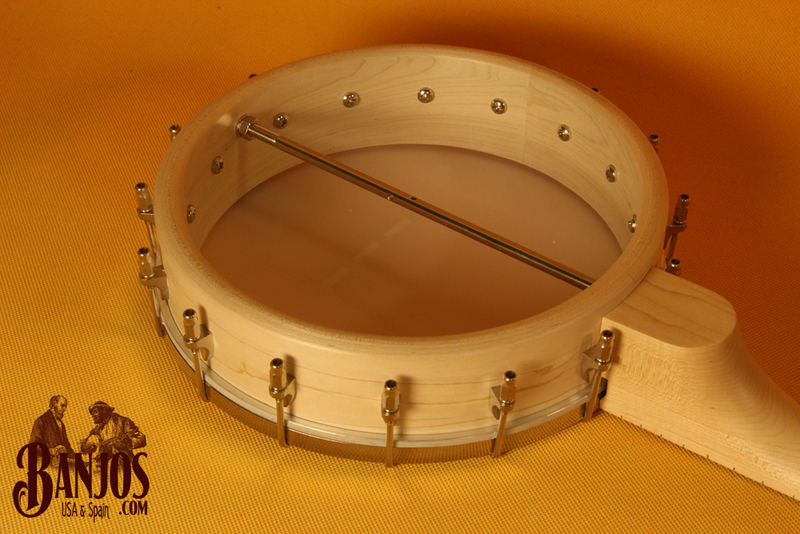 It is beautifully constructed with strong materials that will make this banjo last a lifetime. It includes Deering´s Kavanjo pickup system that is perfect for the stage and has as well a perfect acoustic tone for home and professional recording. There is really nothing better than Phoenix when talking about six-string banjos. OK for now, on our next post we´ll tell about the newest Gold Tone instruments that we have received, including MicroBass, EB5 and more.